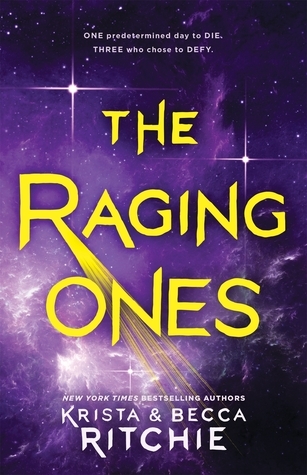 THE RAGING ONES by Krista and Becca Ritchie! 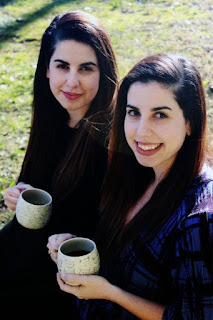 Working with another author is hard, let alone with your twin! What was working together like and how did you address differing opinions on the work? Krista & Becca Ritchie: We've been writing together since high school, so we've been able to really fine-tune our process. Being sisters seems like we'd bicker a ton, but we find our bond a huge strength. We understand each other's vision and welcome varying opinions and ideas. We always describe what we have as a mini "writer's room" where we constantly bounce thoughts off one another and try to improve our work. Krista & Becca Ritchie: Back in college, one of us (Krista) had this concept about a world where everyone knows the day they'll die, but three teens don't die on their deathday. We're huge fans of science fiction and fantasy, and we'd written several Young Adult novels that never saw the light of day. But we wanted to write a new story together with new characters, and I jumped on board once she agreed to add a fantasy element. While writing THE RAGING ONES, we were really inspired by character-driven stories with science fiction backdrops. From movies like Interstellar to television shows like The 100. What is the weirdest thing you had to research for this novel? 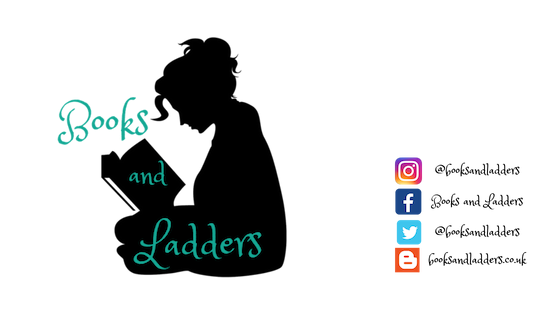 Krista & Becca Ritchie: Since THE RAGING ONES takes place on a frozen planet, we had to keep jumping down an Animal Planet rabbit hole. We paid close attention to the animals that could exist. It's not too weird, but there were a lot of times we had to double-check each other and be like, "Cotton isn't a fabric here" and "You can't make them eat chicken. There are no chickens." combined their mental powers as kids and have never stopped telling stories. Graduates from the University of Georgia in Biology and English & Journalism, the twin writing duo now lives in Atlanta. The Raging Ones is their first young adult novel.